The MGM Poker room is one of the nicest poker rooms in Las Vegas, with tons of action, nice spacious tables and a state of the art management system. The poker room at the MGM is one of the most comfortable, spacious and enjoyable poker rooms in Las Vegas. I really enjoy the MGM poker room, and I think you will too. Nestled within the huge MGM casino and about 50 yards away from the giant tiger display, the MGM poker room stands out above the competition. The first thing I noticed when visiting the MGM poker room was the effort that they took to make the poker room comfortable and inviting. Starting with the huge amounts of space between the poker tables, especially when you compare them to the tighter packed style of the Bellagio and the Rio. There was plenty of room to walk between all the tables and we were not all shoved in there like sardines. It was a nice relief not to have to squeeze between herds of poker players and fight your way to your seat. It was easy to get up, stretch your legs, walk around and clear your head whenever needed. Also plenty of ‘food carts’ available to pull right up behind you and you can put any food or drinks behind you and able to keep the table clear. They also have cup holders built into the rail so it’s harder to spill your drink and everyone has one. The MGM poker tables have a granite race track running around the whole of the table. The race track is great for stacking mountains of chips in front of you without them spilling over. The MGM Poker room is non-smoking, as most rooms in Vegas now are, which is very nice. I couldn’t play for long periods of time at a table that allowed smokers to blow smoke in my face all day. The layout of the room is mostly in a horse shoe shape, with tables spread out across a fairly large floor space with the cashier section in the middle of the ‘shoe’. The games were the fairly standard spread of games offered. The entry level no limit game was $1/2 no limit with a $300 max buy in and they will spread games up as large as demand. While I was there there was plenty of demand for the $2/5 NL cash tables with a $500 max buy in and there were a few tables of $5/10 NL and $10/$20 NL. Limit games started at $2/4 limit up to pretty much as high as demand, with a common helping of the $3/6, $4/8 and $5/$10 limit tables that were ripe with fish. Sit-N-Go tournaments were ran on demand and were typically somewhere around the $60 buy in that paid the top 2 or 3. I didn’t play any SNG’s while I was there although they ran them whenever there were 10 players signed up to play. The poker room uses a very nice player seating method that is efficient and leads to a great atmosphere. Every seat and table in the MGM poker room is tied into a computer system that shows which table has seats open, instantly. 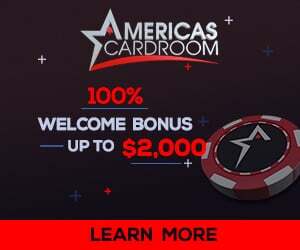 The dealer simply swipes his card and pushes a button on his table to notify the poker room manager that a seat is open and to send the next player. No more shouting “Seat on 4” or relying on verbal communication between the dealers and the pit boss to keep the flow of players moving in. The players seem to be 99% tourists with the occasional (and obvious to spot) local grinder who makes their living feeding off the fish who come to play a little NL holdem. While I was playing $2/5 NL one gentleman at the table bought in for the max ($500) at least 7 times during the 4 hours I was there. This seems to be fairly common at these tables with an average mix of players. All in all, the MGM poker room will get a large portion of my poker playing business when I visit Las Vegas. We expect the announcement of the MGM Online Poker Room as soon as the U.S. Government regulates online poker for U.S. citizens.